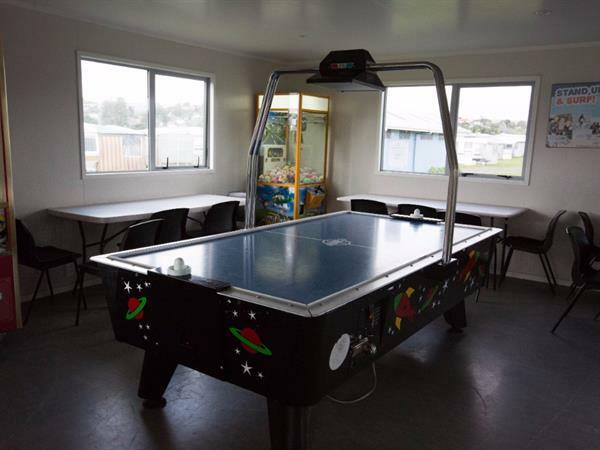 Right beside the kitchen in the facilities block is our Raglan holiday park lounge. Relax after a hard day’s surfing, fishing or sunbathing in Raglan and blob-out on a couch. Or challenge your friends or family to a table tennis or pool tournament. Bring along a pack of cards, board game or book to while away an evening or wet day ... if you’re unlucky enough to get one. For more information on booking your Raglan accommodation, please click here. Click here to contact Raglan Holiday Park for more information on your Raglan accommodation.